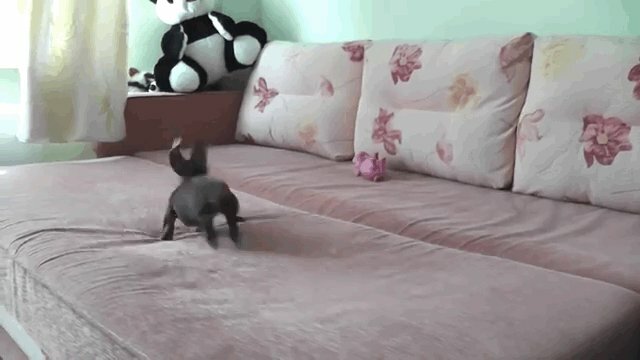 Why is this puppy running around continuously in circles? Simple: because he's a puppy. "Sometimes puppies just do silly things for fun," said Stephen Zawistowski, an animal behaviorist and science advisor at the ASPCA. "He clearly had a lot of energy and the couch was probably a bouncy place to run around in circles until he plopped down pooped. Humans -- my granddaughter included -- do this as well!"